The lecturers have a wealth of contacts and links to the industry and can help in guiding you down the career path you want to pursue. "The course offered by NTU is structured to give you a broad knowledge of the mechanisms that control and deliver development and allows you to apply it in practical real life situations. It offers you the opportunity to undertake a placement in industry that exposes you to development and planning in a professional working environment and provides vital work experience that prepares you for your final year studies and ultimately for a richly rewarding career in the property industry. 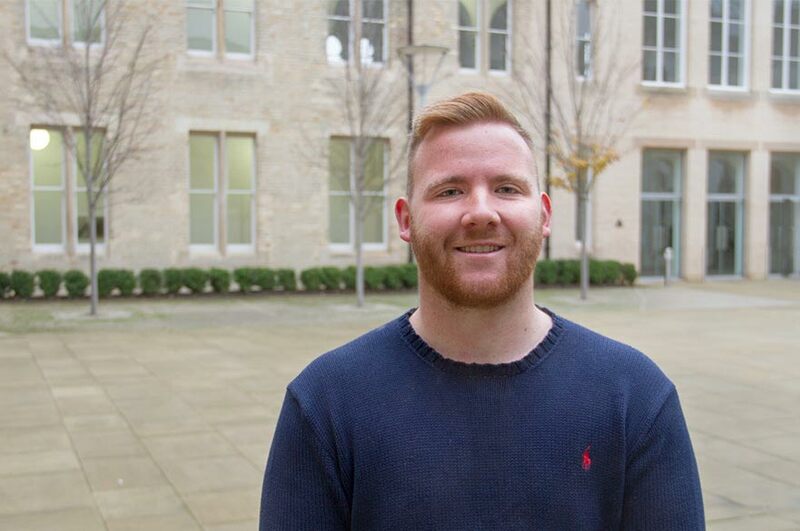 "The course can be demanding, but the work is always interesting and directly related to the course, after the end of each major project I'm always left with a sense of achievement and confidence that the skills developed from that assignment will be useful in my future career. "The range of practical projects is fantastic. During the course I've been exposed to a number of real life projects, from appraising the development potential of an unused airfield and factory owned by Rolls-Royce to being briefed on a major new airport development on a field trip in Berlin. "The course staff are enthusiastic about the subject that they teach and if you demonstrate that you are willing to work and engage in the subject they will commit themselves to helping you achieve the degree that you deserve. The lecturers have a wealth of contacts and links to the industry and can help in guiding you down the career path you want to pursue. "I spent my placement year in the land department at Croudace Homes, who are a residential house builder based in Surrey. I was involved in land acquisition of both short term and long term development land. My time spent at Croudace was invaluable because it allowed me to apply my knowledge gained from university studies in a real life professional working environment. I developed an in depth knowledge of the development process and the planning system when it comes to delivering new homes. My time spent at Croudace has developed my confidence and has helped me to develop the skills required for a career in a planning and development discipline. "My advice to prospective students who are considering applying for the course would be to engage yourself in the subject and don't be scared of the unknown. I thought about a degree in History or English Literature, but decided to pursue a degree in Property Development with no prior knowledge of it, and I think it's one of the best decisions I've made in my life. I've enjoyed engrossing myself in a new subject, which has such an influence on the world we live in and learning of the various potential career paths that I can take after the completion of my degree."